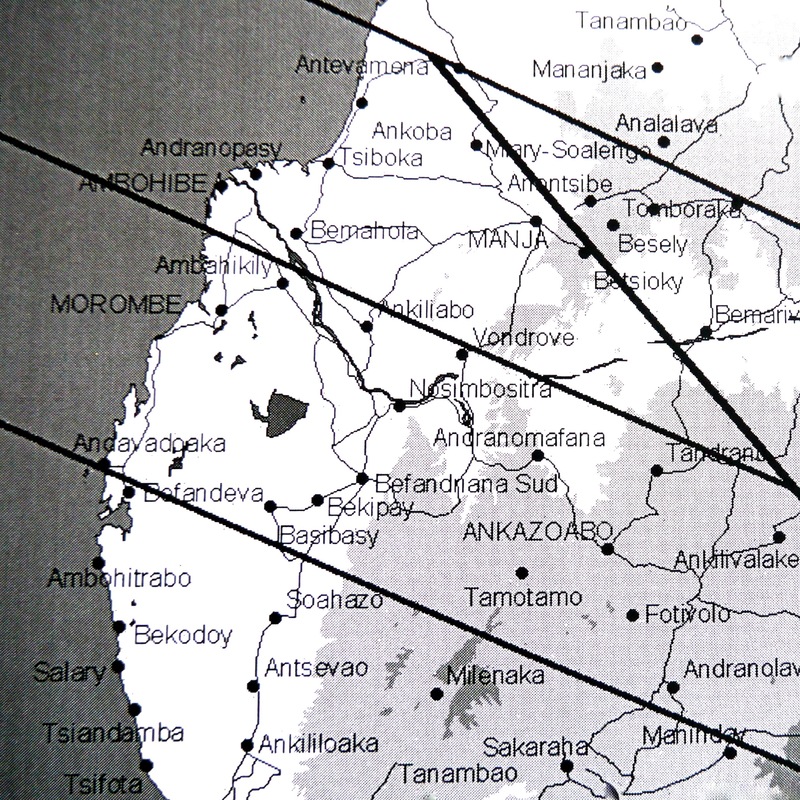 On June 21 the shadow of the “solstice eclipse” raced across southern Africa at 1000+mph, touching Angola, Zambia, Zimbabwe, Mozambique, and where I chose to view it, the island nation of Madagascar. 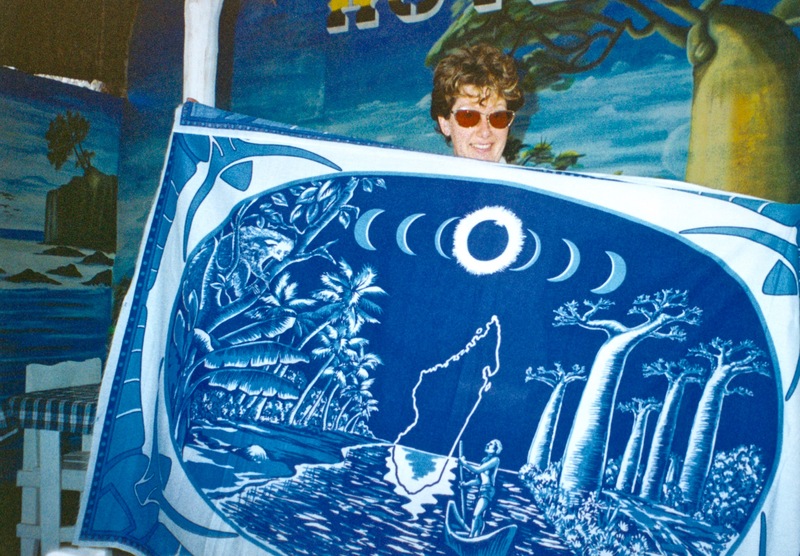 I made the trip independently with my second husband, a repulsive loser—ask anyone—and all-around impotent jackhole. (I had some self esteem issues back then.) But he did like to travel. 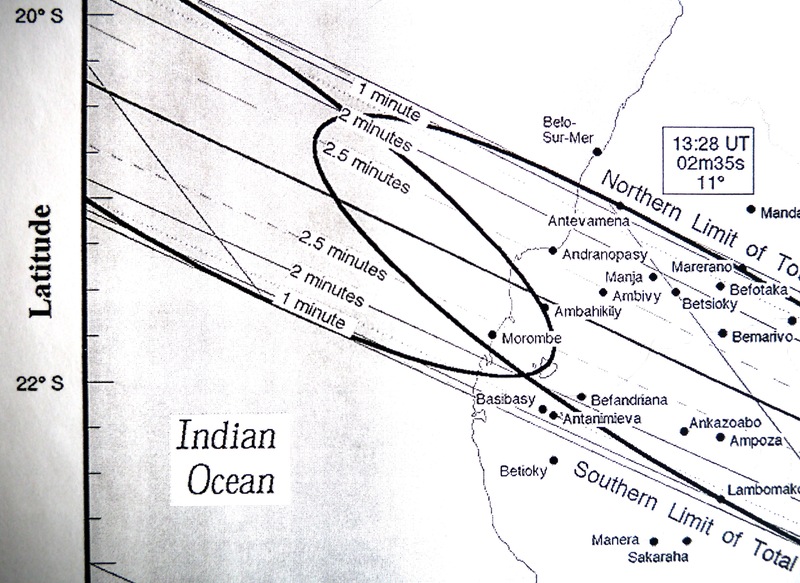 So I forged ahead with my own half-cocked plan: fly to the main airport in the capital city of Antananarivo (“Tana”, for short), rent a car, and drive two weeks overland to the coast where weather prospects were brightest. 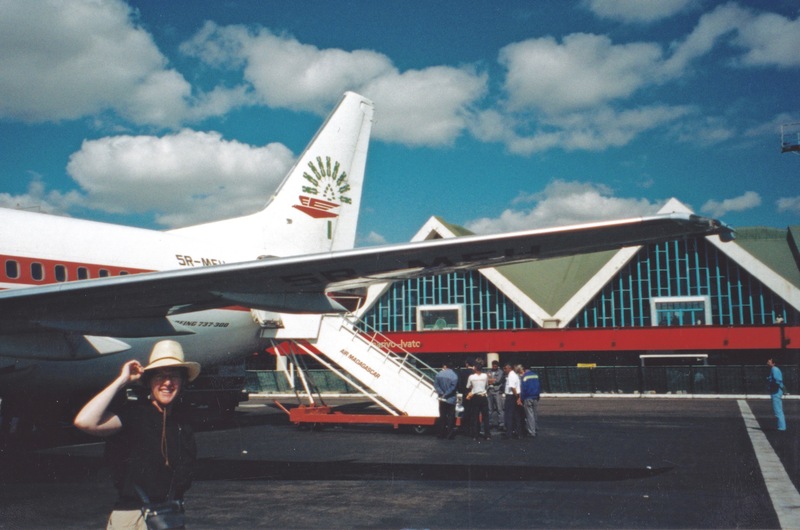 We flew into dangerous ‘Tana (we heard gunshots at night from our room at the Hilton) and rented a vehicle for the foray west through Antsirabe, Fianarantsoa, Ihosy, Isalo National Park, and Toliara. I’ve never been anywhere as bizarre as Madagascar. 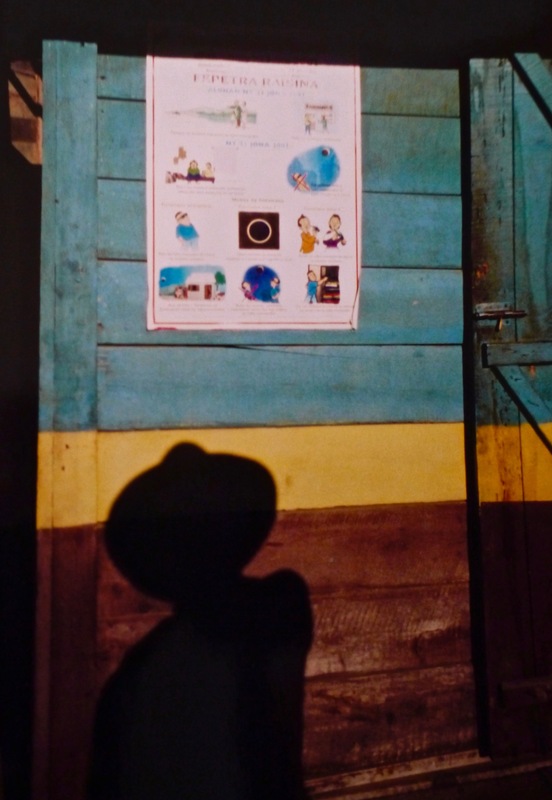 This entry was posted in Solar Eclipse Travel and tagged eclipse, Madagascar, Morombe, solar eclipse, total eclipse, total solar eclipse, TSE2001. Bookmark the permalink.